Right before last year’s Gen Con convention, Scott and I celebrated our 25th wedding anniversary. While we could have opted to have a second honeymoon, we decided to head to Indianapolis a few days early and bond as a family. The weather wasn’t on our side, so we improvised on our schedule and made the best of it. We visited the Indianapolis Zoo one of the days and it provided one of the most hilarious experiences of the trip. I love watching birds which is why we hang multiple bird feeders in our yard all year long. So naturally we decided to get up close and personal with a variety of birds, including feeding flamingos and parakeets to name a few. It’s hit and miss as to whether or the birds will come close to you, but we had a lot of luck. 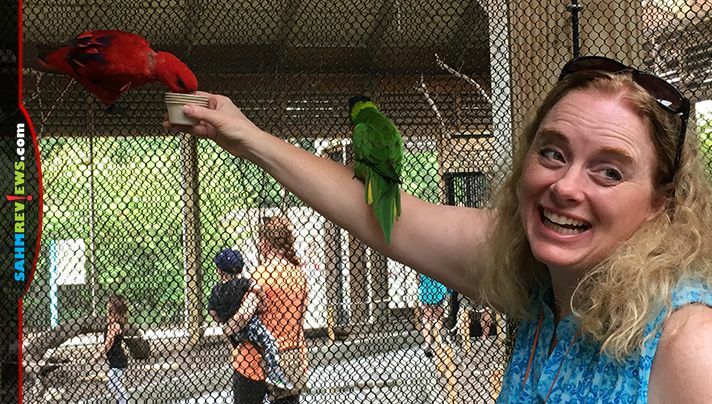 Specifically, I had a Conure land on my arm then proceed to perch itself on my head. My biggest fear was that I was going to start my day with bird poop in my hair. Being able to see birds close up is something I thoroughly enjoy so it makes sense that I would enjoy board games based on the subject. We’ve played games such as Root, 4 The Birds, Grackles, Flying Kiwis and Seikatsu. While they’ve been entertaining games, Seikatsu was by far the most serene and beautiful to look at. 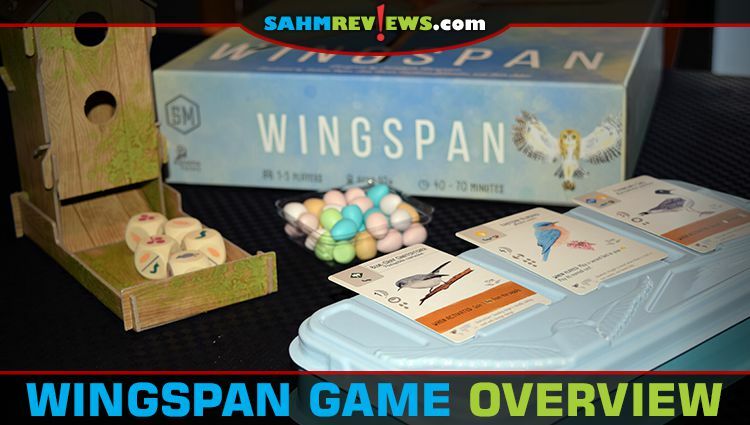 It hadn’t occurred to me how much that impacts my interest in a game until I played Wingspan from Stonemaier Games. 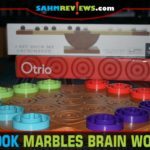 It’s an elegant game and the cool components are what makes it extra impressive. 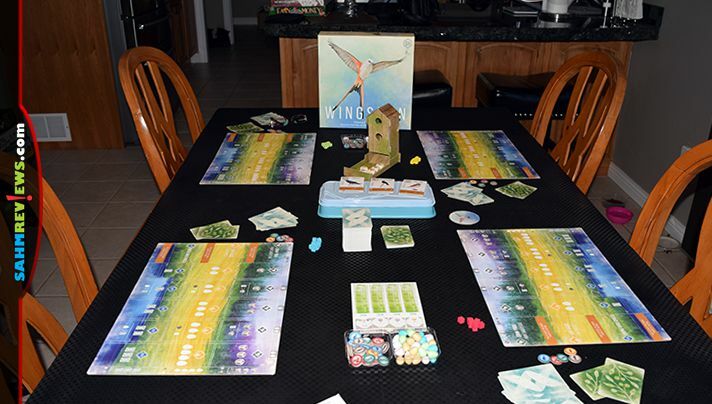 Wingspan can be enjoyed solo or with up to five total players. While the age is recommended as 10+, we certainly can see younger, experienced gamers being able to play it as well. One of the things I admire about Stonemaier Games is their attention to storage and setup. To begin the game, place the card storage tray in the center of the table with the lid next to it. Separately shuffle the bird and bonus cards and place them in the storage bin as a draw pile. The lid doubles as a tray for holding available cards during the game. Place a card in each slot of the lid tray along with community supplies of eggs and food tokens. 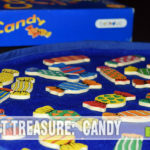 Each person selects a color and takes the eight associated action cubes, a player board, one of each type of food token, two random bonus cards and five random bird cards. You’ll select one of the bonus cards to keep for end game scoring and discard the other. You may also keep up to five of the bird cards but for each you keep, you’ll need to discard one of your food tokens. Goal tiles are shuffled and added to the goal board. Finally, set up the birdhouse dice tower (what was that I was saying about impressive components?) and roll the 5 food dice through it. The faces of the dice feature invertebrate, seed, fish, fruit and rodents. These are types of food consumed by the various types of birds. 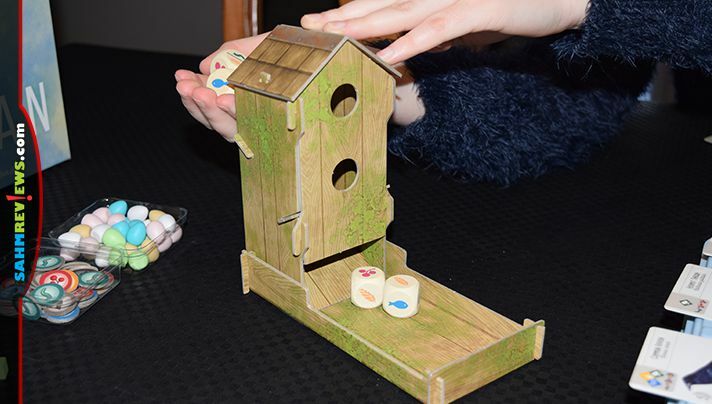 The birdhouse is used to roll and store the dice. You’ll need this food to be able to place birds into one of the three habitats on your board. The bird cards represent various species of North American birds with each providing an image of a specific one along with details including its full name, scientific name and wingspan. 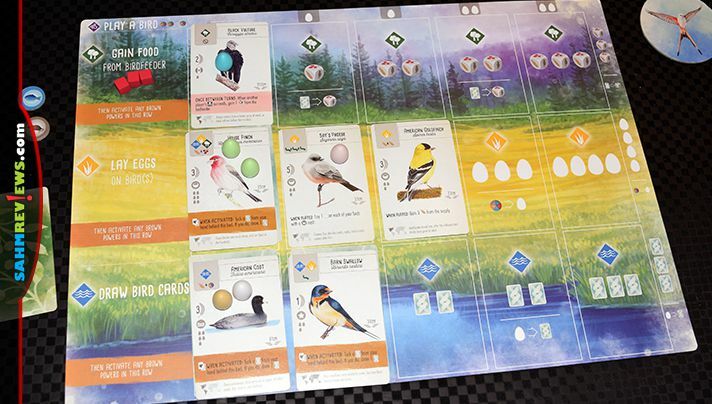 In the left side of the card indicates traits that are utilized as part of the game including the type of habitat along with food requirements followed by their point value, nest type and egg limit. The bottom half of the card shows a power for use as well as some facts about the bird and which continents it can be found. The board is divided into three different habitats and that’s where you’ll be finding homes for your birds. 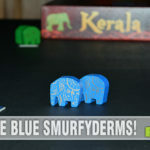 The game consists of four rounds with each player taking multiple turns based on the number of action cubes they have. 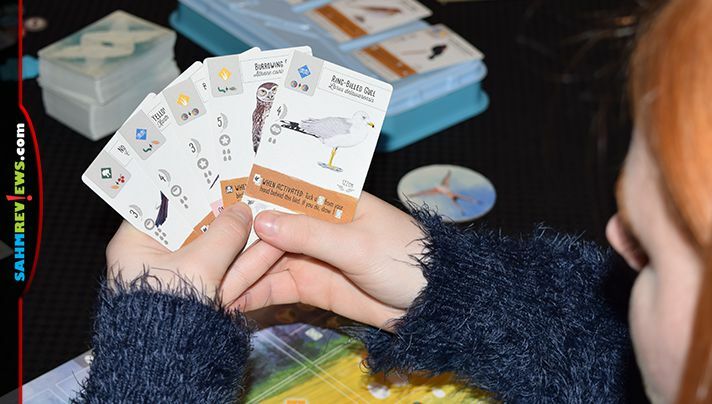 On your turn you’ll be able to take one of four actions: (1) Play a bird from your hand, (2) Gain food and activate forest bird powers, (3) Lay eggs and activate grassland bird powers or (4) Draw bird cards and activate wetland bird powers. To play a bird from your hand, you’ll place an action cube on the top row (above the habitats) on the leftmost open space. You’ll need to pay the egg cost in order to proceed. Select a bird and place then pay the necessary food requirement before placing it in its respective forest, grassland or wetland habitat. Some birds don’t have a habitat preference so you can place those in the leftmost open space of any habitat. If the card has a power that reads “When Played” then you may use that power immediately then play moves to the next person. 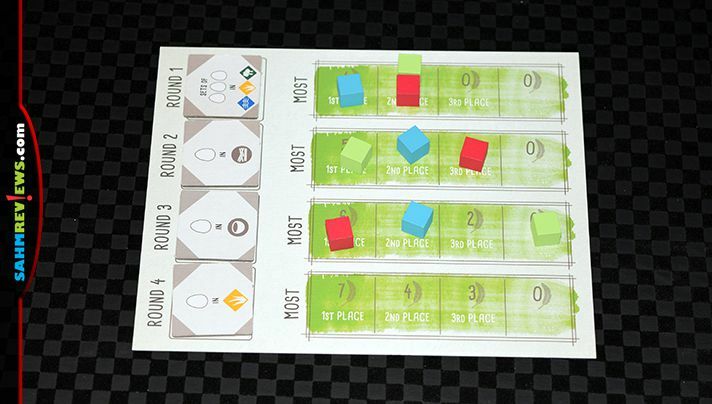 Each of the four actions is displayed on your player board and is handled exactly the same. The only differences are the location (habitat) where the action takes place and the cost to take that particular action. As an example, If you want to gain food, you’ll place an action token on first open space in the “Gain Food” habitat. You’ll select food from dice available in the birdfeeder. If it’s the first space in the row, you’ll collect your food and your turn is over. If it’s in the second (or beyond) then you’ll collect food based on what is available in the birdfeeder and potentially be able to exchange a bird card for a second. Following that, you’ll be able to activate all birds to the left of that space with a brown “When Activated” power. Playing birds that work well with each other is key to this game. While some bonuses are earned when the card is played and others when the row is activated, there are some birds with bonuses that can be earned once per turn when triggered during another player’s turn. The longer I look at Wingspan, the more it reminds me of Gizmos. At its heart, Wingspan is an engine builder. Once all players have taken actions to use all their action cubes, the round is over and all cubes are removed from your board. You’ll score the end-of-round goal for that round, placing an action cube on the slot that applies to what you achieved. If you didn’t meet the requirements then you’ll place a cube on the zero space. The available birds in the tray are refreshed and the first player token moves one person clockwise. 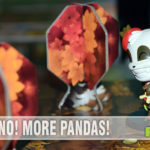 Since you leave an action token on the goal board at the end of each round, you’ll have one less to use in each subsequent round which makes the number of turns shorter. However, since you will likely have more birds in your aviary, you’ll find that each turn still has a lot of depth. The game ends after the fourth round and final scoring begins. You’ll receive points based on the point value on each card in your aviary, for each bonus card you possess and for all the end-of-round goals achieved. 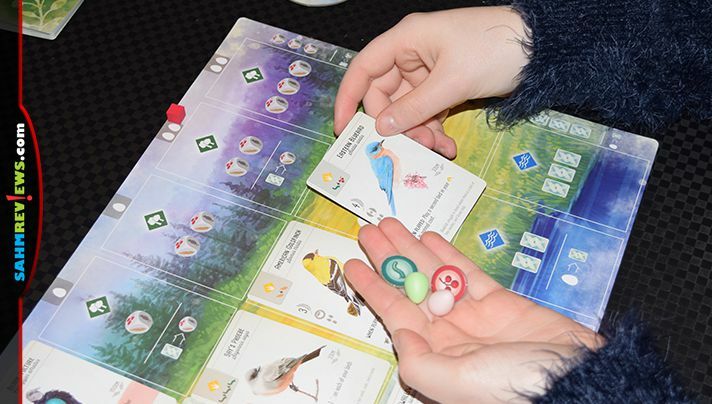 In addition to that, players earn one point for each egg on a bird card, food tokens cached on a bird card and cards tucked under a bird card. The player with the most points wins. 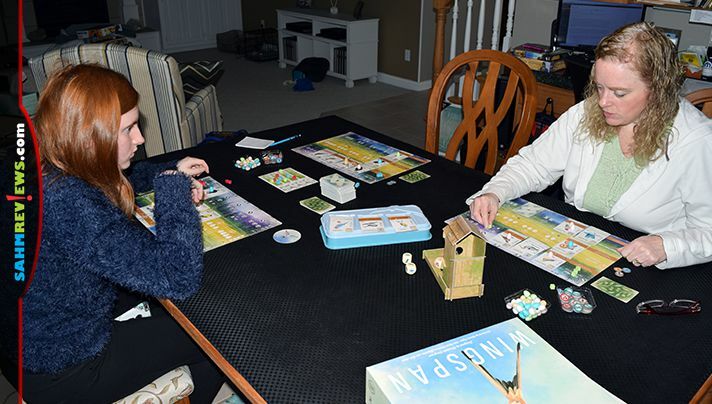 If you’re ready to take flight with Wingspan, ask your local retailer about availability, check for copies on Amazon or direct from Stonemaier Games’ website. If you’re interested in learning about what other games they are ready to push out of the nest, follow them on Facebook and Twitter. What’s your favorite kind of bird? My favorite bird is the hummingbird. They are so much fun to watch! I love them too, Caroline! I need to remember to put out the feeder so they come back when they migrate. My wife and I just got to play this game recently and we liked it!